been known in the wild since the 1920s. and on dunes and sea-cliffs. 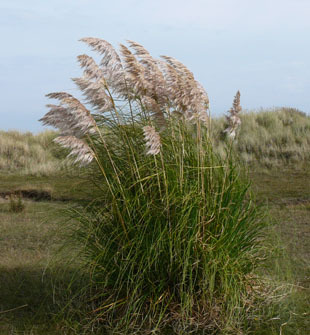 It is an invasive weed in some countries and banned from sale. 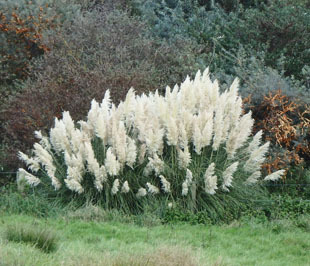 tussocks up to 3m high and over 1m wide. up to 1.2m on long stems. 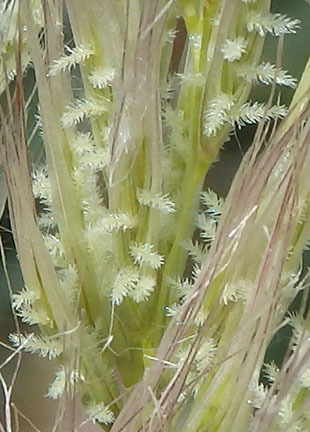 Flowers are in spikelets containing up to 7 florets. topped by a long terminal awn. 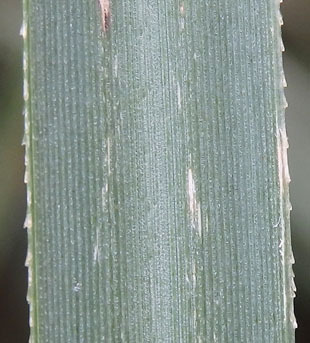 Glumes are as long as the spikelet. 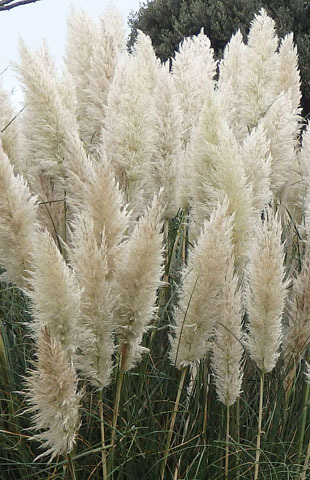 Lemmas are bifid and hairy and with long apical awns. Florets are either solely female of bisexual (gynodioecious). Those shown here are female and do not seed. The stigmas resemble small, silver, christmas trees. 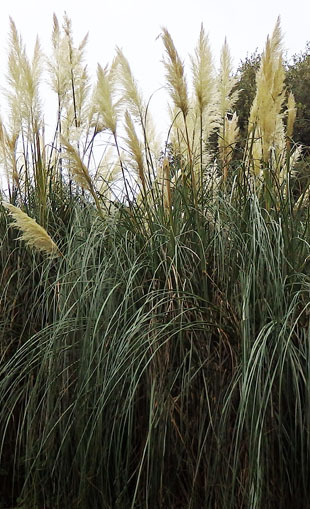 Leaves are grey-green and up to 2.7m long and 1cm wide. 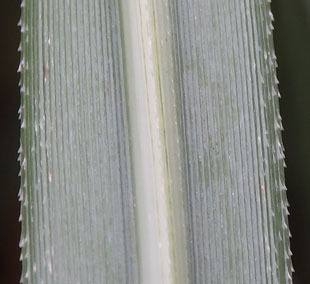 They have serrated edges and vascular strands.